The Lochgilphead Winter Bazaar was held on Saturday November 3 following a social evening of mulled wine and mince pies. Under a gorgeous canopy in the gardens of Christ Church, locals sold their one-of-a-kind produce. There was an abundance of stalls squeezed under the canopy, all filled with goodies. Among the stall-holders was Morag Cupples, selling all things tartan to support the Mid Argyll Pipe Band. 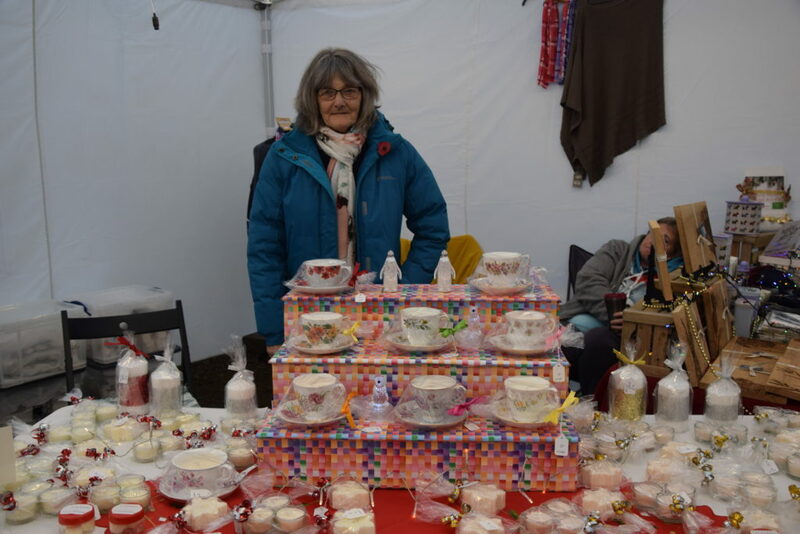 Brownie leader Sandra Cole sold handmade Christmas decorations for the Girl Guides, while Tarbert’s Hazel Fennell showcased her beautiful, delicate handmade jewellery. Gill Currie’s table was laden with her famous Diverse Preserves and Hew Service sold deli classics such as nuts and dressings. Many made a bee-line for Elizabeth Griffin and Meah MacDonald stall of homemade baked goods. Benjamin helped Zandra Hunt sell quirky keyrings, Dorothy Womack sold soya wax candles in adorable little tea cups and Tracy Penman sold cute household gifts for Quarry View Gifts. The 19th Argyll Scouts were also there selling preserves and sweet treats to raise money. Look out for more photographs on the Argyllshire Advertiser website.